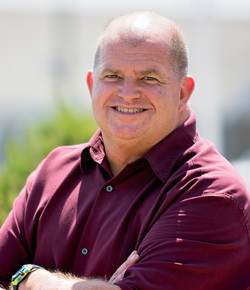 David Armstrong is the General Manager for South Mesa Water Company located in the City of Calimesa. David began his career as a water operator, and quickly learned all aspects of managing a water system. He has served on the CalMutuals Board of Directors since 2014, and was elected as the Association’s Vice President in 2016. David is also the Chair of the Legislative Committee, and serves on the boards of both the Beaumont Basin Water Master and the San Gorgonio Pass Regional Water Alliance.